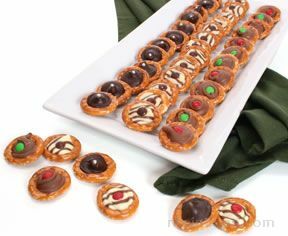 Peanut butter spread between two crackers and dipped in chocolate. 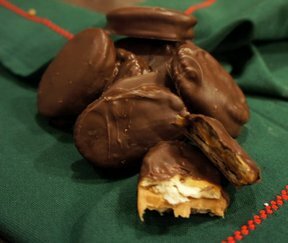 These tasty cookies taste just like Tagalongs but are much more budget friendly. Spread peanut butter thick between two crackers, making a sandwich. Make all cookies before dipping them in the chocolate. 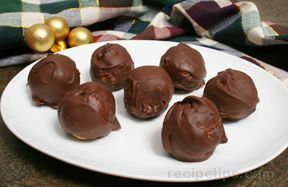 Melt chocolate in a double boiler or in the microwave, stirring occasionally. 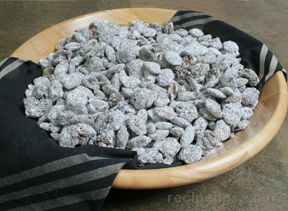 Once the chocolate is melted, dip the cookies individually in the chocolate with tongs or forks until completely coated, then place them on parchment paper until cooled.